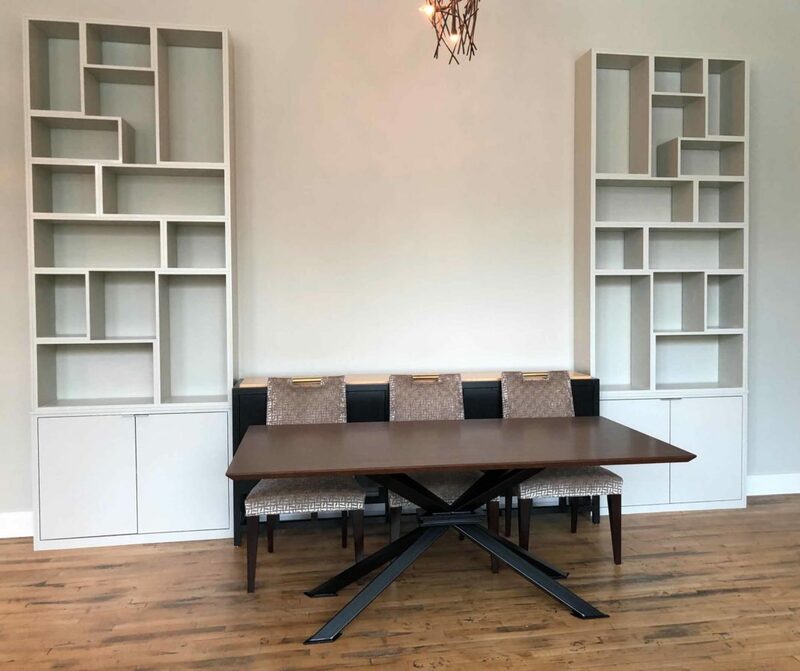 We also built the bookshelves with cabinets shown behind the table. Finished steel base for dining table. 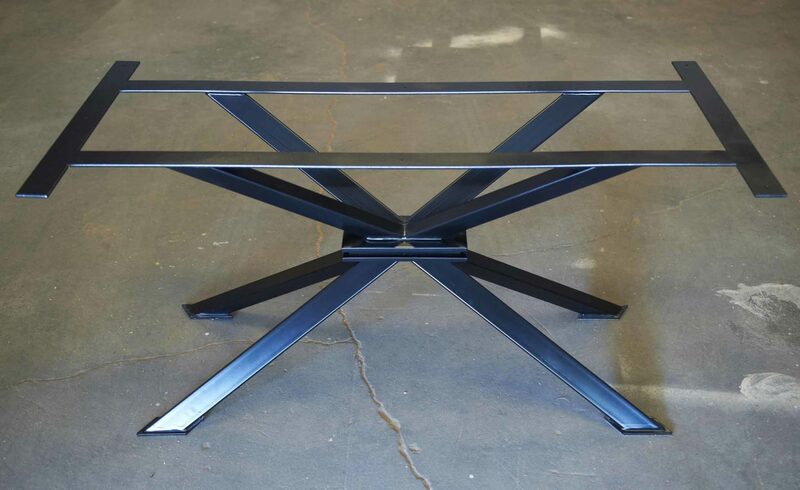 This shows the finished table in our studio prior to delivery. 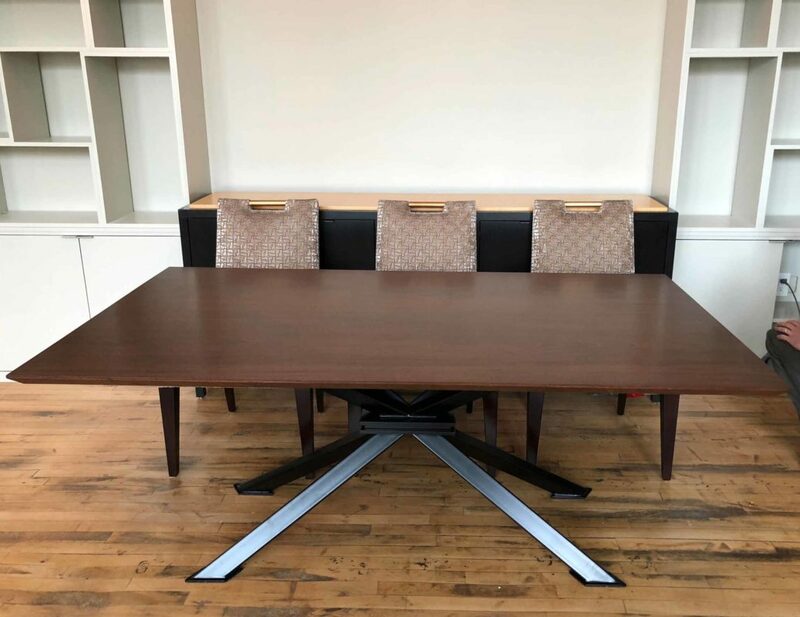 We designed and built a beautiful contemporary dining table was a for a couple who have a condominium in Augusta, Georgia. 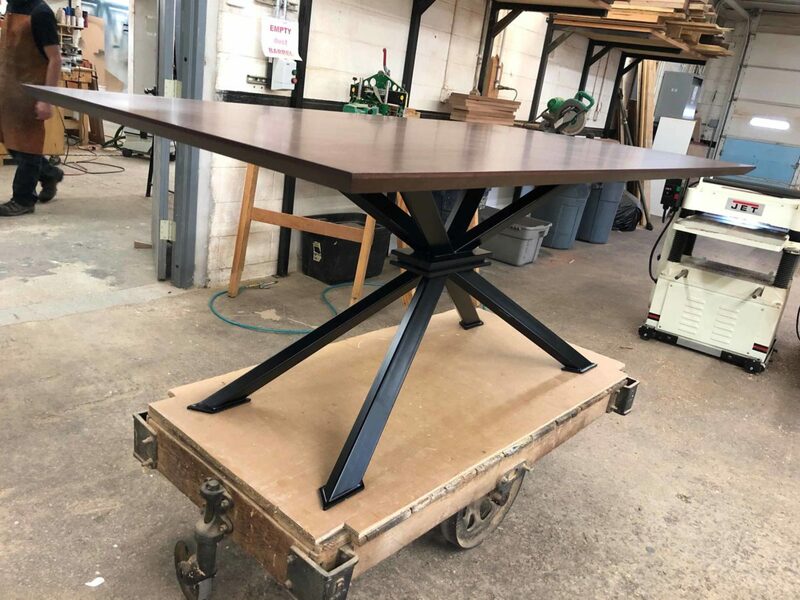 The table base is made of powder coated welded steel with a sapele top, finished with 4 coats of water-based satin top coat. 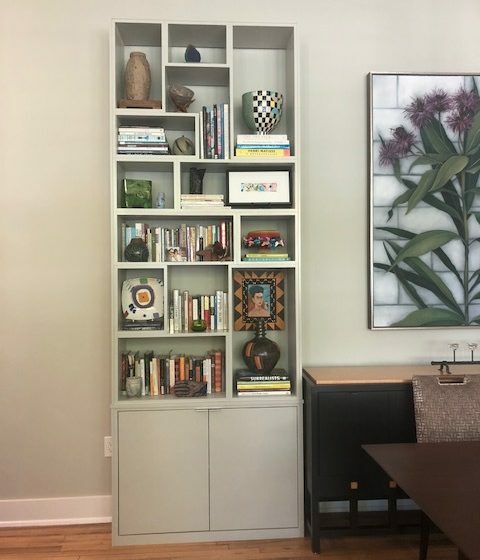 The finished piece was very functional, interesting and complemented the modern design of their condominium. We also built the two freestanding bookshelves with cabinets shown behind the table. © 2019 Architectural Woodcraft All rights reserved.